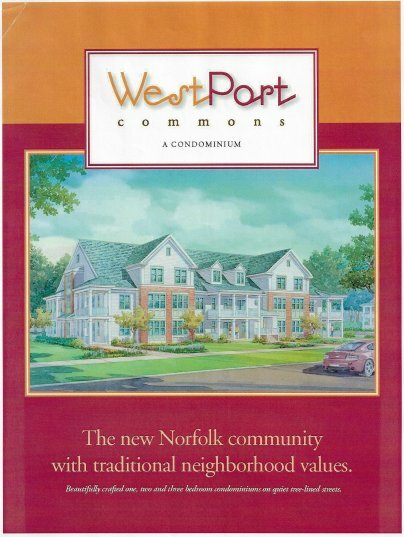 Collins, LLC is currently constructing the first building in their redevelopment of the old Riverside Terrace apartments into the new WestPort Commons condominiums (formerly known as WaterMark) at the intersection of Newport Ave and Warren St. They expect their first building, pictured to the right, to be complete in early October and have received 30-40 inquiries already. Their second building will be constructed just west of the current construction site in the area that has already been cleared. The units in the first building average 1500 – 1600sq. ft. The units in the second building are expected to be smaller so that the price point can be in the sub 200s. Those schematics have just been started. 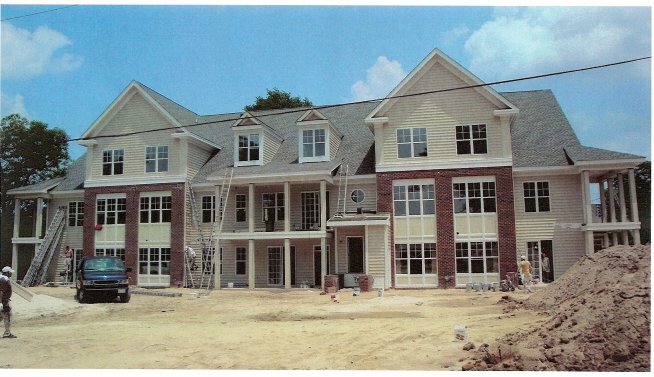 The next apartment building that Collins, LLC expects to demolish is the building that fronts Newport Ave that includes the current leasing office. Demolition is tentatively scheduled for the beginning of 2009. The realignment of Warren St is in the works as well. Collins plans on narrowing the street and adding landscaping to reduce concrete and increase green space. All units are still scheduled to be condos, not apartments. 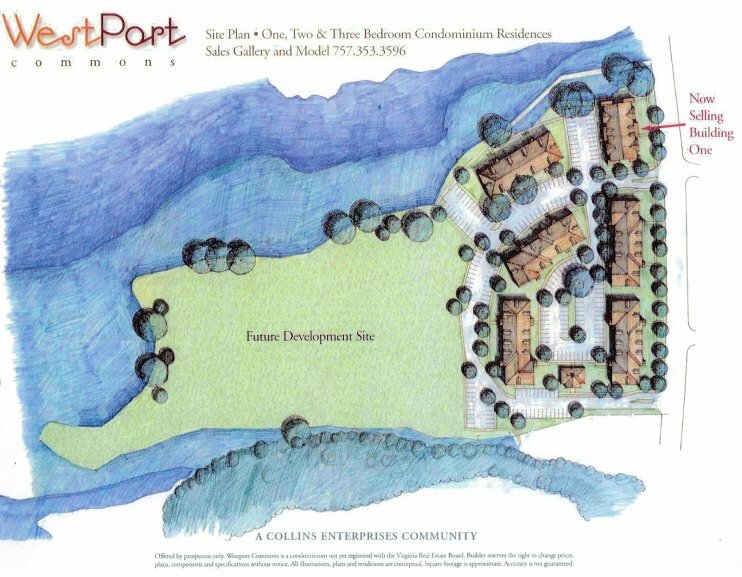 Collins, LLC will be seeking a rezoning from multifamily to PD (Planned Development). The stated purpose of this request is so that 20% more units can be built into the development. Councilman Winn and Councilwoman Whibley have met with the developer and indicated that a condition of any increase in density would be the creation of workforce housing. The change in zoning will need to be approved by City Council. The increased density would also include the reduction from 1.9 parking spots per unit to 1.6. The original plan for the development included a public walkway around the river side of the property. Complaints from residents at the Landings at Bolling Square, another Collins project, have caused the developer to have second thoughts. The above information was provided by Collins, LLC via telephone and at the July Wards Corner Taskforce meeting. This entry was posted on Friday, July 11th, 2008 at 11:43 am and is filed under Uncategorized. You can follow any responses to this entry through the RSS 2.0 feed. Both comments and pings are currently closed. As I have said from the begining, this will be a great addition to the Wards Corner area. This is the type of commitment from developers that we need to see more of in and around Wards Corner. The only part that bothers me is that a developer from outside the area had to take the initiative to help us redevelop this area. Mr. Collins has always had my support and will continue to get my support for any future projects he would like to pursue in Wards Corner.